Could the West End be on the brink of a major rev­o­lu­tion, or least evo­lu­tion? For the first time in over 24 years, Bill Ken­wright cur­rently has no show run­ning in the West End. (He’s al­ways had at least one, and usu­ally more, on the boards, with Blood Broth­ers con­tin­u­ously in the West End since he brought it back to the West End in 1988, though he wasn’t in­volved in its orig­i­nal 1983 pro­duc­tion). But that closed last sum­mer, and Cabaret, the Rufus Nor­ris re­vival he first pro­duced in 2006 and brought back to the Savoy last year, was the last of the cur­rent crop of Ken­wright shows on the boards until it closed on Jan­u­ary 19. I doubt he’ll be ab­sent from the West End for too long – and he still has an amaz­ing ros­ter of pop­u­lar favourites on the road, from Blood Broth­ers to the lat­est from his Agatha Christie com­pany Go Back for Mur­der, which opened in Wind­sor last month and is now tour­ing. There’s also his clutch of Lloyd Web­ber’s, in­clud­ing the in­evitable Joseph and the Amaz­ing Tech­ni­color Dream­coat (back on the road from next Tues­day), Evita (tour­ing again from May) and Starlight Ex­press (on the road now). He also did a lot of the re­fur­bish­ment work on re­shap­ing Love Never Dies in the West End – with­out credit or re­mu­ner­a­tion, though he was a co-pro­ducer of it. But the tour­ing rights were awarded to an­other pro­ducer in­stead, even though he was per­son­ally re­spon­si­ble for re­ha­bil­i­tat­ing the show in the West End and his restruc­tur­ing was sub­se­quently used for the far more suc­cess­ful Aus­tralian pre­miere of the show last year. The show also went on, after Kenwright’s work on it, to get seven Olivier Award nominations, the most of any show that year. Not bad going for a show that had opened to poor reviews, and was floundering at the box office in the wake of those earlier notices – but then got rave reviews when it re-opened to the press after Kenwright had gone in. Michael Co­dron is, of course, stag­ing a bril­liant swan­song by re­turn­ing to the West End with Quar­ter­maine’s Terms, a play he pre­vi­ously pro­duced the orig­i­nal 1981 pro­duc­tion of, which of­fi­cially marks the end of an­other West End era. He was, in the years that fol­lowed, soon eclipsed by the pro­duc­ing might of the Na­tional in at­tract­ing some of his best writ­ers, from Simon Gray to Tom Stop­pard and Michael Frayn, whose work he would once offer the pre­mieres of, but sub­se­quently had to con­tent him­self with merely trans­fer­ring to the West End. It was, how­ever, in­ter­est­ing that by the time they let Frayn’s Democ­racy out of the South Bank, they had al­ready run it in both the Cottes­loe and Lyt­tel­ton for long sea­sons, so Co­dron’s West End trans­fer was very much after the fact. Now, how­ever, the Na­tional is mak­ing great strides at being its own com­mer­cial man­age­ment, freez­ing out West End pro­duc­ers en­tirely. And be­fore the end of next month, it will have four sep­a­rate shows in town – as well as the warhorse of War Horse and the con­tin­u­ing suc­cess of One Man Two Gu­vnors, it will soon also have The Cu­ri­ous In­ci­dent of the Dog in the Night-time, at the Apollo from March 1 and the Alan Ben­nett dou­ble bill of Un­told Sto­ries at the Duchess from March 22. I also hear that The Ef­fect, cur­rently run­ning in the Cottes­loe to Feb­ru­ary 23, is ac­tively still search­ing for a West End trans­fer house later in the year. 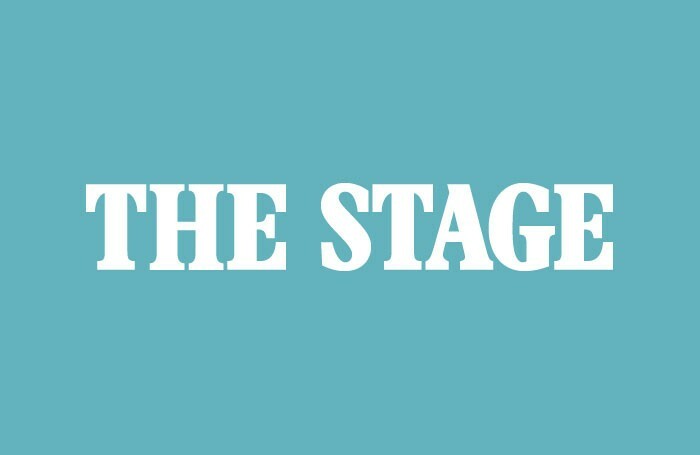 We’ve also got new com­pe­ti­tion to the sta­tus quo in the West End by the trail­blaz­ing ar­rival of the Michael Grandage Com­pany, with its four play, star-led res­i­dency at the Noel Cow­ard The­atre, which fol­lowed his own coloni­sa­tion of Wyn­d­ham’s be­fore it for an ex­ten­sion of the Don­mar Ware­house ethos when he ran that. No won­der the star power feels a bit like it has de­serted the Don­mar it­self, since Grandage is ef­fec­tively con­tin­u­ing the brand he helped make under his own name else­where. Mean­while, Grandage’s own di­rec­to­r­ial pro­tegee Jamie Lloyd – who was his as­so­ci­ate on pro­duc­tions like Guys and Dolls and Evita in the West End – to­mor­row be­gins per­for­mances of his new pro­duc­tion of Mac­beth, star­ring James McAvoy in the title role, for his own com­pany Jamie Lloyd Pro­duc­tions under the ban­ner of com­mer­cial pro­duc­ers ATG who have given him the Trafal­gar Stu­dios 1 as his own toy the­atre to play with. The sea­son has al­ready been dubbed the Trafal­gar Trans­formed sea­son, with ATG giv­ing Lloyd and his de­signer Soutra Gilmour carte blanche to re­con­fig­ure the space en­tirely. And by chance I was wan­der­ing through town the other day when I ran into Lloyd, who gave me an im­promptu, in­for­mal tour of the re­vamped space. And I have to say I am thrilled with what I saw, at least in rough form. The ver­tig­i­nously raked au­di­to­rium has lost some rows at the back so it is a lot less steep, and the stage has been raised sev­eral feet, too, to cre­ate a greater in­ti­macy be­tween the re­main­ing seats and the stage, with the front row on the stage it­self and not set apart from it. New seats also wrap around to the other side of the stage, to cre­ate on­stage seat­ing there, too. That’s a brand-new dy­namic for this space, and though the unlovely banks of red tip-up seats, with­out arm­rests, are still in there, the Trafal­gar Stu­dios has in­deed been trans­formed. If only some­thing could now be done to Trafal­gar 2, too, I’d be even hap­pier. I’d love to see Lloyd take over that space, too, and cre­ate an in­te­grated venue. As it is, he told me of his plans to hold read­ings and events in the bar, and after Mac­beth has an­other three ex­cit­ing pro­jects lined up al­ready, with a sec­ond sea­son after that al­ready form­ing in his mind, too. I’m also hear­ing that, after Nicholas Hyt­ner fi­nally de­parts the Na­tional The­atre, he is look­ing at set­ting up shop in the West End with Nick Starr, his Na­tional The­atre ex­ec­u­tive di­rec­tor, to cre­ate their own com­pany, too. That will change the game plan of the West End for­ever. Though, of course, this is far from the first time that such ini­tia­tives have been tried. The Hay­mar­ket has tried to build West End res­i­den­cies around di­rec­tors Jonathan Kent and Sean Math­ias be­fore now, though it has since be­come a re­ceiv­ing house for the Na­tional’s One Man Two Gu­vnors. And of course there’s also the Old Vic model, with an un­subsidised the­atre building an artistic model around a per­ma­nent artis­tic di­rec­tor in Jonathan Miller and now Kevin Spacey. Often, dur­ing re­hearsals, I catch my­self think­ing, God, this is hard. Why am I al­ways choos­ing such dif­fi­cult plays to put on? The­atre is in­cred­i­bly de­mand­ing and you work all the hours – and I’m a mum with a lit­tle girl at home – so why bother putting every­thing into it if you are not pro­duc­ing some­thing that is re­ally worth doing? Some­thing that pushes you and pushes every­one else in­volved? If it is just an­other run-of-the-mill show, then what is the point?